This cosy two bedroom holiday home is fantastically located at the gateway to the Luberon and just a few minutes from the centre of Isle-sur-Sorgue: otherwise known as the Venice of Provence. This cosy two bedroom holiday home is fantastically located at the gateway to the Luberon and just a few minutes from the centre of Isle-sur-Sorgue: otherwise known as the Venice of Provence. Constructed in 2016, the villa is wonderfully equipped with air-conditioning, a private swimming pool and a fresh and modern interior. 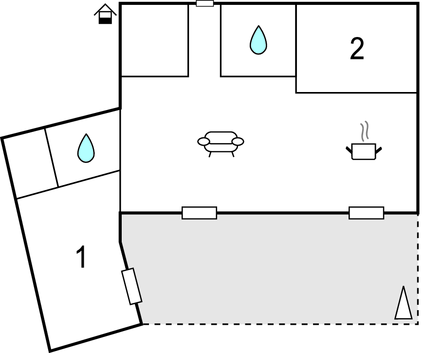 It boasts an open-plan kitchen and living room, two bedrooms and two bathrooms. The enchanting town of Isle-sur-Sorgue is wonderfully charming with its pretty canals that weave through the narrow, winding streets. Be sure to spend some time browsing the interesting flea markets, antique shops and art galleries. You will be spoilt for choice as there are almost 300 antique dealers found in the town! Nearby is the Partage des Eaux: a geographical site with charming restaurants, a verdant landscape and waters that measure 13°C all year round. 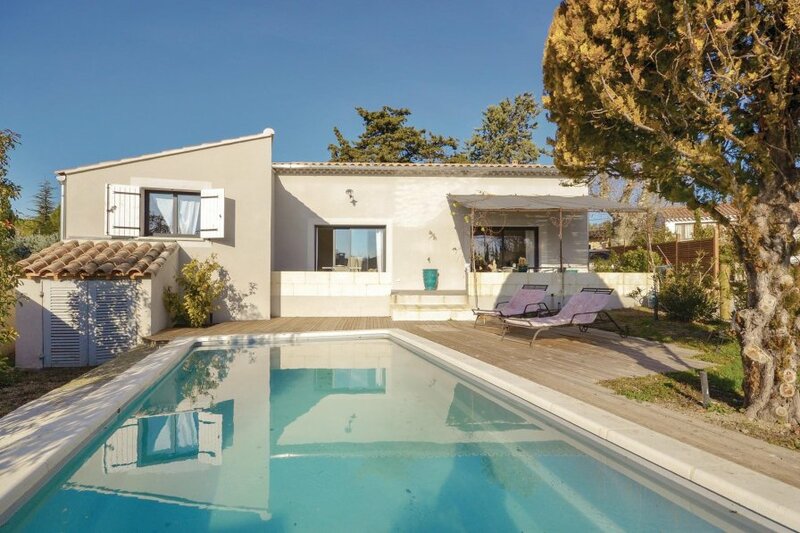 The site is popular with anglers, with trout and shadow bass found there.The villa is also well-located for guests wishing to explore some of the region's most iconic towns and villages including Avignon, Apt, Carpentras and Orange. For golfers, the 18-hole Golf de Saumane is just 2.5km away. You may also wish to discover the mystery of Fontaine-de-Vauclus, which is just 5km away. This solidly constructed modern villa was recently built in 2016. The agent has rated it as a four star property so it is a well-equipped villa with above average furnishings. It is also great value for money. This villa has a swimming pool and is located in L'Isle-sur-la-Sorgue, only 5km from Fontaine-de-Vaucluse. It is set in a good location: there is a restaurant 2.5km away.